Well, like we said: whoa. Oh my, that was quite the tasty lore episode, wasn’t it? A lot of blanks are filled in, and even some unspoken facts about recent revelations have been spoken. 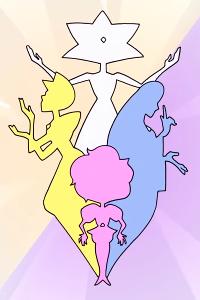 We learned a lot about the Famethyst with the designations of just a couple of Amethysts, and there is definitely more we’ll be considering. Let’s just say that this episode changes everything. Or nothing. It’s all a matter of perspective. It’s definitely another one of those “if you haven’t watched it then watch it as soon as possible” episodes. Seriously, the risks of being spoiled are massive. In fact, we’ve already said too much. Forget it all. It is very often claimed that Ms. Sugar has said there are no villains in Steven Universe, and the discussion quickly turns to the morality of the characters. Is anyone irredeemable? Could certain characters have reasonable motivations for their harmful actions? Oh boy, we just want to say this: Jungle Moon has officially brought the thunder with regard to getting speculation going again. If you haven’t watched it, see to it that you do. You’ll have to forgive us if this was a bit slow, we just… We just need a moment. That was intense. So yes, even though this was a story episode, it looks like we learned a very important lesson about balloons: sometimes, you just have to pop one. No, there’s no lore in this one (unless we’re going to start a site for Beach City Underground Wrestling, in which case a huge story arc just finished). This one was all about the wrestling. We love you, Tiger Millionaire. Ronaldo is back, so we don’t even mind that this is a character episode! (Well, some people are… Less enthused than others.) 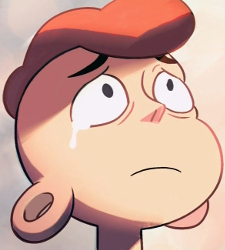 Rocknaldo won’t be offering much room for lore or speculation, but Steven is Steven and Ronaldo is Ronaldo. Most importantly, however: Tiger Philanthropist awaits. Still, as far as character episodes go, what a thing to be coming to grips with.